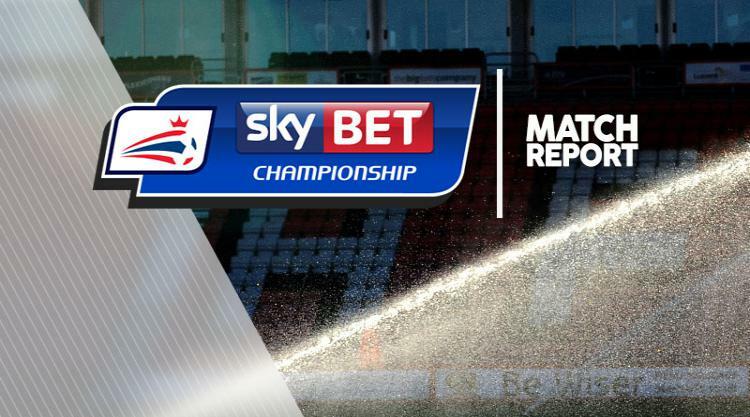 Blackburn fought back to draw 1-1 with Huddersfield in the Sky Bet Championship and extend their unbeaten home run to five games. But they were made to work by a rampant Huddersfield side whose performance belied their recent poor form. When Kasey Palmer's header put the visitors ahead in the sixth minute with his third goal of the season, they were already in control and only desperate defending and the woodwork prevented further goals. However, Rovers equalised in the 34th minute from the spot - Danny Graham's shot was their first and only effort on target in the half. The visitors always looked the likelier to win but Jason Steele repelled their best efforts. It means the Terriers have not won for five games and drop out of the top six, but their fans will have plenty to be encouraged about on this showing. Rovers' mini-revival continues - they remain out of the drop zone and have gone three without defeat for the first time this season. Owen Coyle handed a first league start to Ryan Nyambe, in place of the suspended Ben Marshall. Martin Cranie made his first league start of the season in one of four changes for Huddersfield, who were without the suspended Tommy Smith and injured duo Mark Hudson and Sean Scannell. The Terriers made a blistering start, as Michael Hefele saw his 12-yard effort deflected wide after he found himself free in the box. The visitors deservedly went in front in the sixth minute when Chris Lowe's corner found Palmer who evaded his marker too easily to bullet a header past Steele from close range. How David Wagner's side did not extend their lead is a mystery. Aaron Mooy's superbly dipping free-kick was brilliantly tipped over by Steele and the hosts looked likely to be swept away. In particular, Huddersfield's corners caused Rovers huge problems. Hefele connected with Mooy's delivery six yards out but the ball was bundled out, and in the 17th minute, Cranie's header crashed against the crossbar. The impressive Rajiv van La Parra shot weakly at Steele after cutting through the hosts' defence, but out of nowhere, Rovers were back in the game after Hefele hauled down Sam Gallagher in the 34th minute. Graham stepped up and hammered the penalty down the middle for his fifth goal of the season. The second half was less frenetic but a well-worked corner routine almost paid dividends for the Terriers, when Lowe's pass picked out the onrushing Mooy but Steele parried his fierce first-time shot. Huddersfield's Elias Kachunga spun and unleashed a 20-yard drive that Steele palmed behind, while Sam Gallagher lashed one just wide at the other end. Cranie glanced a header wide late on but the visitors could not fashion a winner.